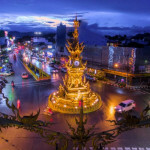 While Chiang Rai is a less popular tourist destination when compared to Chiang Mai, this province in Northern Thailand has its own rich history and is considered one of the oldest settlements in the country. Among the many reasons why you should fly to Chiang Rai on your trip to Thailand is because this city is home to the origins of the Lanna people called the Tai ethnic culture, as it was once the second capital of the Lanna Kingdom for 34 years. In today’s modern world, Chiang Rai city has been meaning to start a new artistic movement to modernize the Lanna’s cultural influence. Evidently, the prominent White Temple was made, along with the main chapel in Wat Klang Wiang called red ubusot. 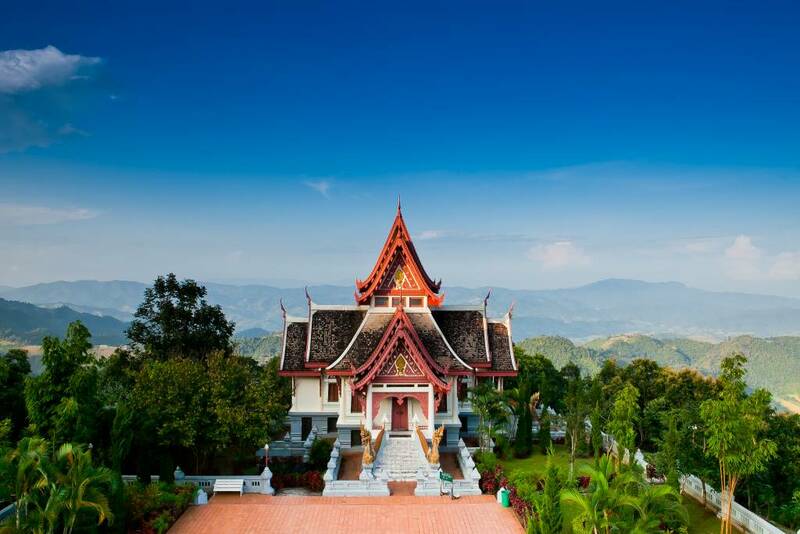 Discover more the historical past and culture of Chiang Rai in the following travel destinations you should include in your Thailand travel itinerary. Definitely a must visit among the travel destinations in Chiang Rai, get to know the history of the hill-tribe village people in the Hill-Tribes Museum and Education Centre. This was a project of former senator Meechai Weera-waithaya to give awareness to the tourists on the etiquettes one should observe when visiting the hill-tribe villages. It is also a way to get to know the communities living in the area. The Hill-Tribes Museum and Education Centre is open from Mondays – Fridays 9am – 6pm; 10am – 6pm on weekends and holidays. You can get here by renting a motorcycle or hiring a songtaew. King Mengrai the Great is the founder of the Lanna Kingdom (1262 – 1311). The life-size monument was made to honour the King because of his accomplishments during his reign. Aside from the life-size monument, you will also see three giant golden tungs or what is locally known as the Lanna flags. Tourists usually rest here and buy souvenirs sold in the nearby crafts centre. The King Mengrai the Great Monument is located in Phaholyothin Road and can be visited through riding a motorcycle or a songtaew. There are a lot of temples in Chiang Rai, but if you choose to visit just a few, make sure to not miss out on Wat Klang Wiang. Get ready to be wowed by Wat Klang Wiang stunning architecture and elaborately designed relief decorations seen throughout the compound. Here you will find the original city pillar and a contemporary Lanna style temple. Wat Klang Wiang was built in 1432 and is proudly made of ornate grillwork, vivid red facades and roof finials. A stupa (chedi) was added on the compound during its renovation when a storm brought down a lot of structures in 1903. The stupa was built on a three-tiered octagonal base and is guarded by elephants wearing regalia. You can find Wat Klang Wiang in the corner of Rattanaket and Uttarakit Roads. 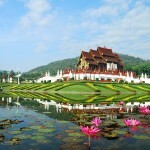 Chiang Rai also boasts of natural wonders tourists come back for. The Kok River for example, located at the heart of Chiang Rai is one of the unspoiled rivers in Thailand. You can also get a great view of lush greenery along the sides of the Kok River. 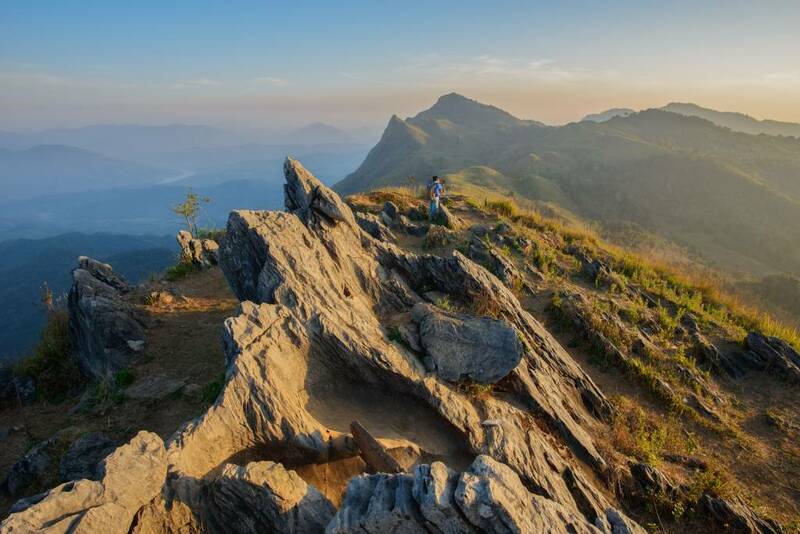 Drown in mountainous beauty as you visit Phu Chi Fah. It is located at the highest tip of Doi Pah Mhon and when visited in the early morning, tourists will be welcomed with a sea of mist as the sun rises and glares on the mountain ranges. Not too far away is the Pha Thang viewpoint which is among Chiang Rai’s outstanding panoramic viewing spot where you can see the lower planes of the north. Are you now itching to go to Chiang Rai? Visit Bangkok Airways and check out cheap travel deals that await you! Bangkok Airways serves outstanding airline service and will make sure to fly you to Chiang Rai on time and with utmost comfort and convenience. You may also check out other travel destinations with direct flights to Bangkok in Bangkok Airways website.